Call (289) 427-5583 if you need assistance. 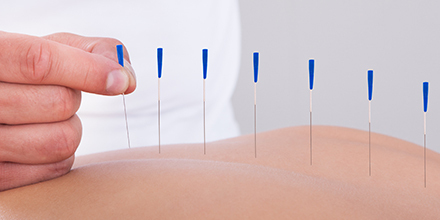 At pt Health Brant Active Physiotherapy, you can expect a different kind of care. Because at pt Health, we take an interdisciplinary approach, that means our teams of physiotherapists, chiropractors, massage therapists, and support personnel work together to help you be the best version of yourself. At pt Health, we address your concerns, create custom treatment plans, and work with you to set rehabilitation goals. We understand that every person is different and that our care must be patient centred to ensure our rehabilitation programs are sensible, help patients live pain-free, and most of all, achieve their rehabilitation goals. We pride ourselves in offering the best care possible in a welcoming and supportive space. 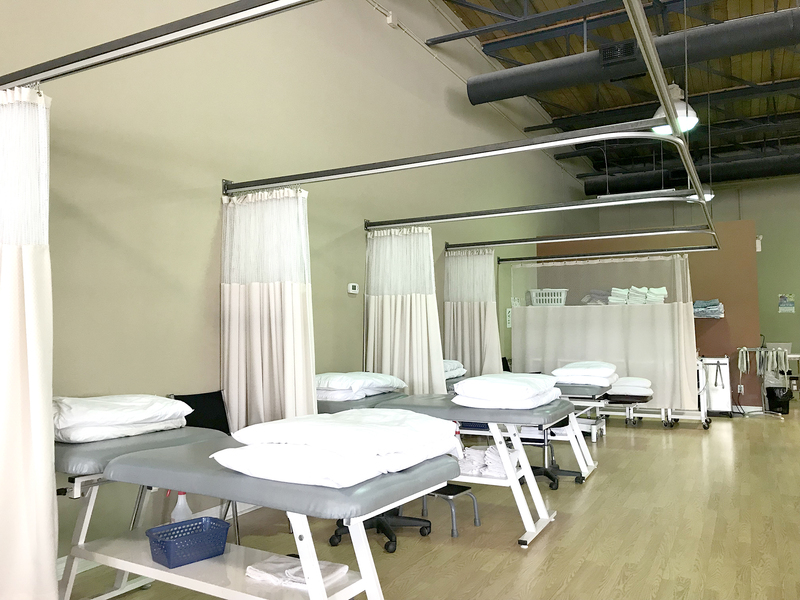 Our diverse and skilled team of physiotherapists, massage therapists, and support personnel work together, each bringing their unique clinical insight to every patient. 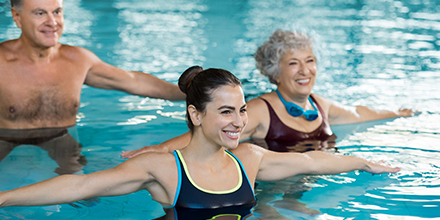 So, whether you would like custom-made orthotics, want to try pool therapy for low-impact rehabilitation, or want to relax with massage therapy, we’re here to help. Our services are covered by most extended health benefits plans; if you have dental coverage, you most likely have physiotherapy coverage as well. Extended health benefits plans typically cover 80-100% of our fee for service. Not only that, our team is happy to help you navigate insurance with direct billing available for most major insurers. In addition to direct insurance billing, we accept Visa, Mastercard, American Express, and cash payments. 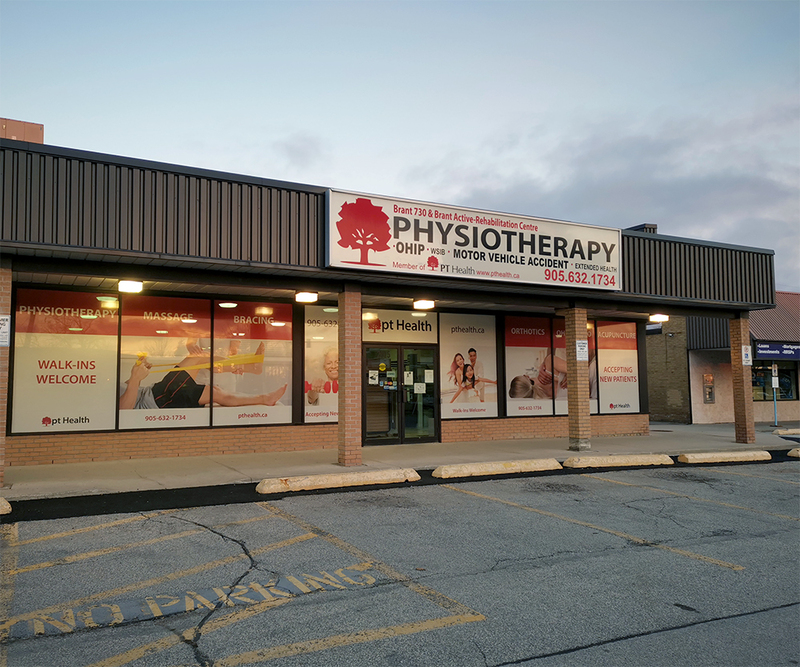 pt Health Brant Active Physiotherapy is located in the Mt. Royal Plaza on the corner of Mt Forest Dr. and Brant St., near the Burlington Hydro Electric building and across the road from the Shell gas station. We are accessible by Burlington Transit with two bus stops just steps from our front door (at Brant at Bluefields and Mount Forest at Brant). 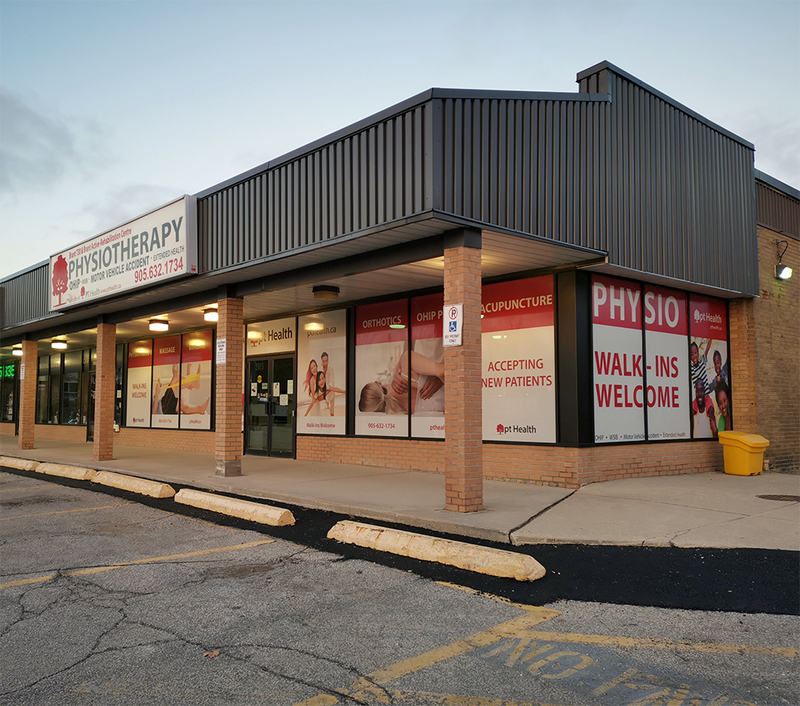 If driving, take the Brant St. exit from highway 403. pt Health Brant Active Physiotherapy is fully accessible with free parking available. 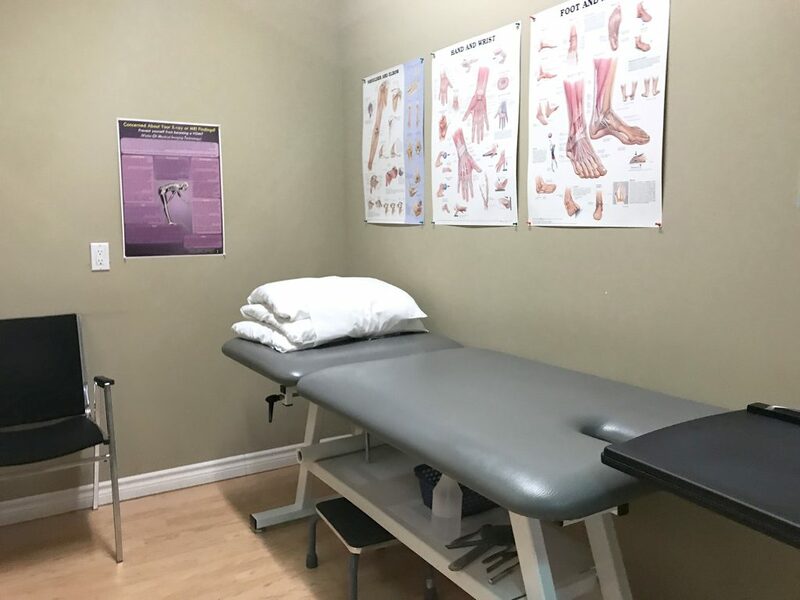 When entering the clinic go left, you’ll know you’re in the right place when you see our bright, spacious, and modern clinic equipped with the latest physiotherapy and rehabilitation equipment. If it’s your first time visiting pt Health Brant Active Physiotherapy, be sure to wear loose-fitting clothing to allow for a full assessment. We’ll let you know if you should arrive a bit early to complete any paperwork that might be needed. If you have any questions at all please do not hesitate to call us. 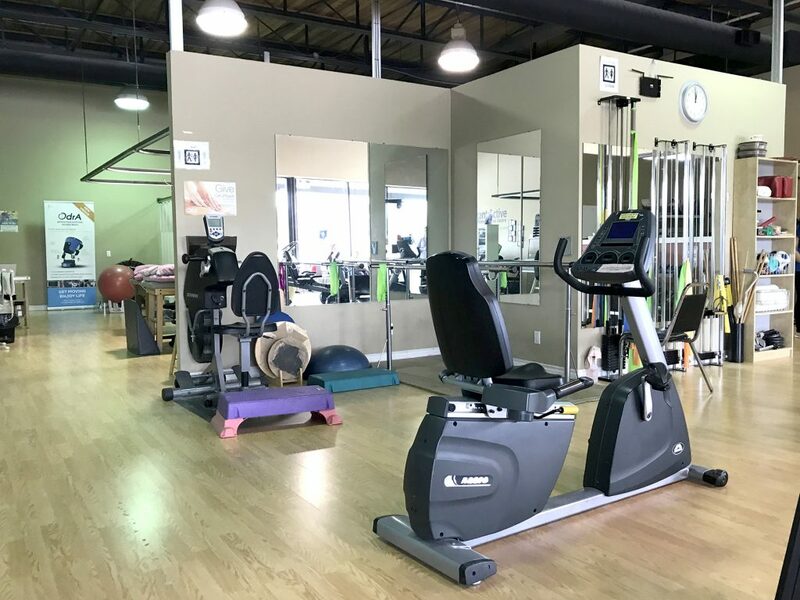 At Brant Active Rehabilitation Centre – pt Health, our team has extensive experience and training in treating a variety of different conditions. 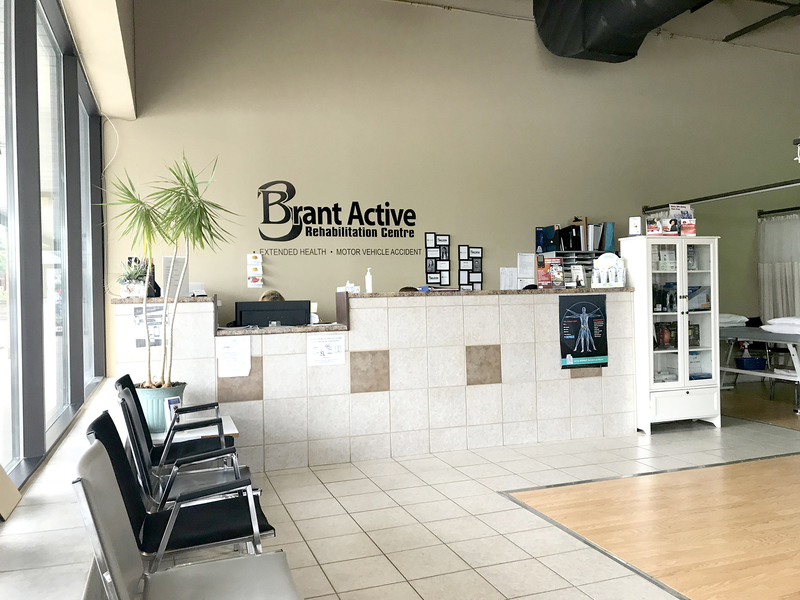 Brant Active Rehabilitation Centre – pt Health provides clear and consistent reporting to your doctor. Reporting may include areas such as results achieved, detailed assessment of problem, treatment by physiotherapist, and future treatment options. Brant Active Rehabilitation Centre Pt Health directly bills insurance companies for you when possible. Call for details. Lesley completed a Bachelor of Health Sciences degree (2004) at Western University prior to her training as an Occupational Therapist Assistant and Physiotherapist Assistant (2006) at the Institute for Applied Health Sciences at McMaster. She has worked in outpatient physiotherapy clinics since graduation, focusing on orthopedic injuries, post surgical rehabilitation and generalized strength and conditioning programs. Outside of the clinic, Lesley enjoys hiking, cooking and scrapbooking.